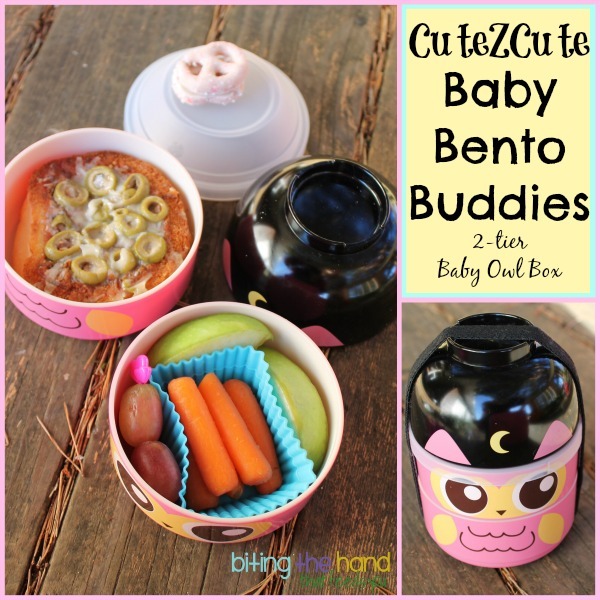 I couldn't resist getting a CuteZCute Baby Bento Buddies Baby Owl 2-tier bento box. It's a bit small, but is still perfectly sized to hold food cut with the CuteZCute Sandwich Cutter! And just fine for a Kindergarten lunch! Tuesday, 12/3/13 - As you can see, the compartments are only a little larger than a muffin cup. I had an extra gluten-free english muffin pizza (with dairy-free cheese) and it fit perfectly in this little bento box! 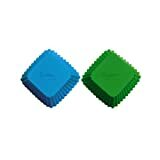 Even though the bowl lid isn't really a third tier, there is a little space between the rounded inner lid and the bowl/outer lid, which is the perfect place to house a little treat. I remembered to include a heart in this lunch by adding a heart pick in with the grapes. 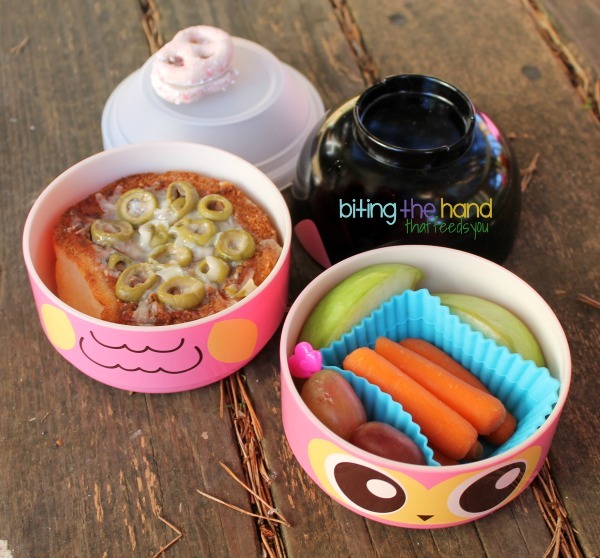 Seriously adorable owl box, and the lunch looks delicious too!